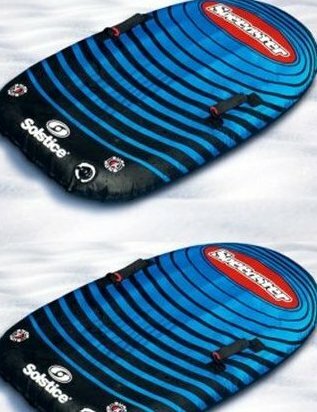 Two New Solstice 17055fs Speedster 4 Season bodyboards. Heavy duty nylon graphic cover. Ideal for snow or surf. Skid pad bottom. Sturdy grab handles.